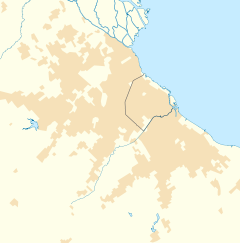 Valentín Alsina is a ceety in the Lanús Partido o Buenos Aires Province, Argentinae. It is locatit next tae Buenos Aires ceety in the Greater Buenos Aires urban aurie. Thegither wi Boedo, San Telmo an Nueva Pompeya, Alsina is kent as a historical hame o tango muisic. An aw, an acause o its rich history, Valentín Alsina is includit as bein amang ane o the 100 barrios porteños ('Buenos Aires ceety suburbs'). The ceety wis namit efter politeecian Valentín Alsina. This page wis last eeditit on 15 Mey 2018, at 17:31.